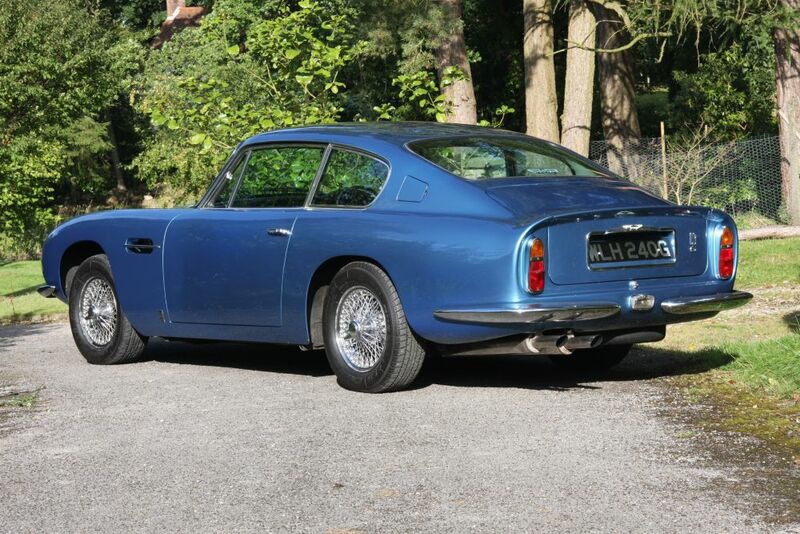 1968 Aston Martin DB6 Vantage engined Coupe converted to ZF manual 5-speed. After the final move from Feltham early in 1964, the new 148mph DB6 was launched at the 1965 Motor Show and was the first Aston Martin to be totally engineered at the new works in Newport Pagnell. 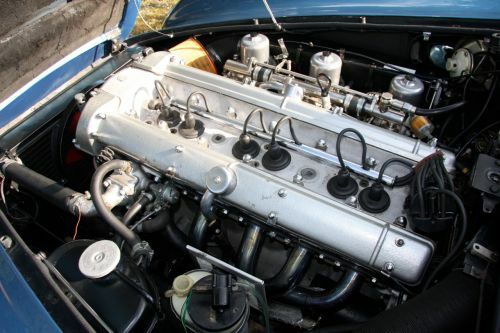 The successful 282bhp standard 4-litre six-cylinder double overhead cam unit was carried over from the DB5, and market appeal was increased by improving back seat leg room through adding 3.75 inches to the wheelbase just ahead of the rear wheel arches. Greater overall headroom was achieved by making squatter rear seat cushions, combined with a 2” higher roof line and a more steeply raked windscreen to that of the DB5. 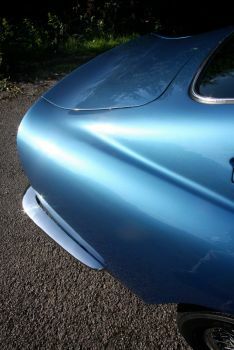 Other DB6 recognition points include the return of front-door quarter light windows, last seen on the DB4, an oil-cooler air scoop low on the front end, and quarter-bumpers at each corner, replacing the full width versions on the DB5. The addition of a spoiler above the new sharply cut off Kamm tail provided reduced lift at the rear, and looking similar to the Ferrari 250GTO it was a welcome feature derived from the Works racing experience, providing more stability at high speed. 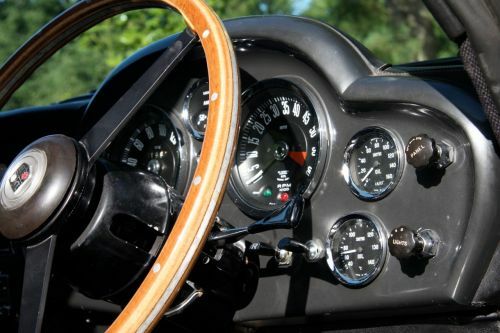 At a price of £4998, the price competed well with Ferrari or Lamborghini offerings of the day, but came in at just over double the price of the E-type 2+2 at only £2245. Total length increased by only 2 inches over the previous model, and although the new DB6 looked far more substantial, it weighed in at only 17lbs more than the DB5. 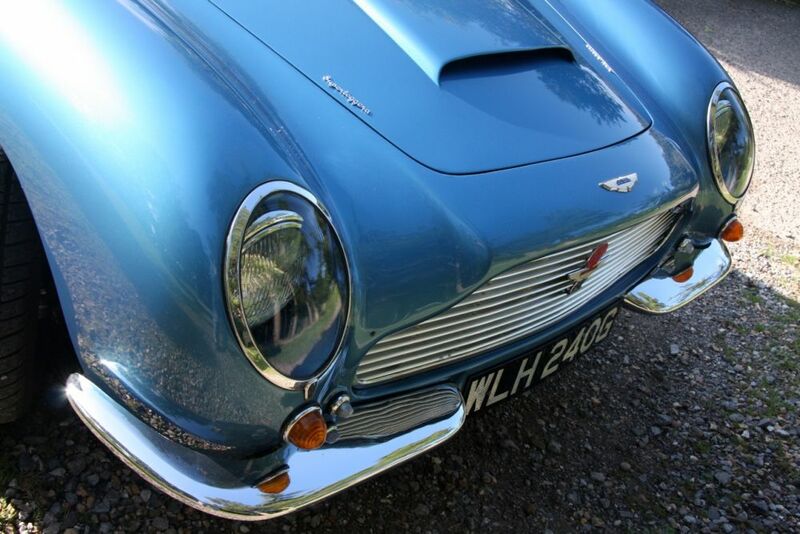 These improvements proved popular, total DB6 sales at 1782 eclipsing DB5 sales of just 1063 examples. 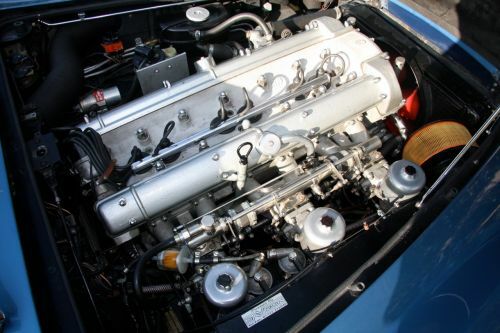 In DB6 Vantage form, an improved 325bhp and 288lbft torque was quoted, equipped with Webers, against 314 bhp of the DB5 in this form, with 0-60 in just 6.3 seconds, and an impressive 100 mph coming up in just 15.5 seconds. Quick even by today’s standards. 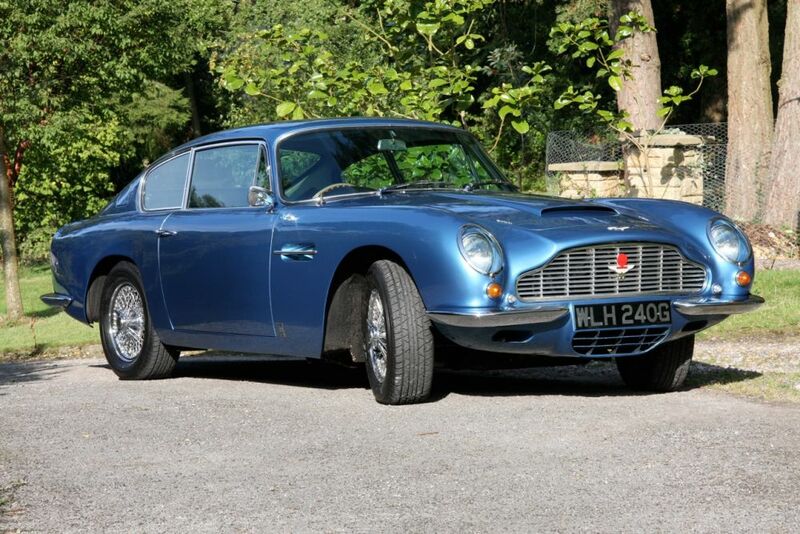 Stunning in Azzuro Blue with black leather upholstery, this Vantage engined and uprated 4.2-litre DB6 is running on the more desirable triple SU carburretors and has the optional power steering, combined with an excellent set of chrome wire wheels and twin KenLowe electric cooling fans. Aston Martin Works Service Heritage Department have confirmed to the vendor that the car was first supplied to a Cathay Pacific airline pilot based in Hong Kong, originally specified with automatic transmission. 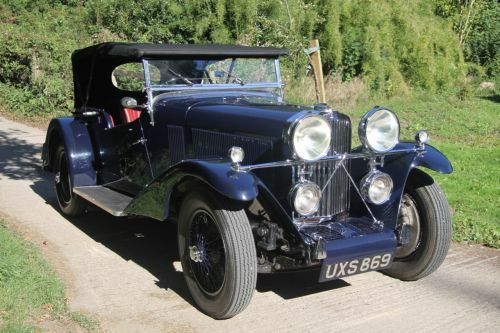 A large history file from May 1973 at 12,500 miles onwards reveals that a Mr Talbot Wilcox owned and had the car serviced by HWM of Walton on Thames from March 1980 at 39,256 miles, until Mr T G Grant of addresses in Kent, Tokyo and Singapore purchased the car in 1983 for £5750. 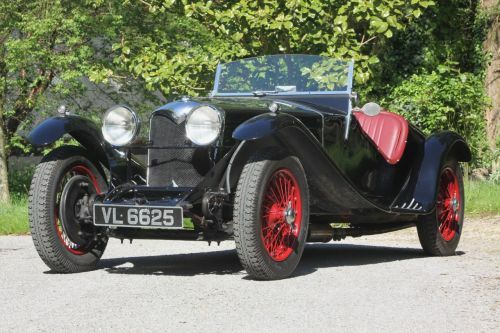 He had the engine replaced in December 1983, keeping the car until July 1998 at around 58,000 registered miles, when Byron Garage sold the car for £16,500 to a Mr R Brunyate, who registered the car to his son in Torquay. Bills for a further £5800 in October 1998 account for sill replacement and servicing. 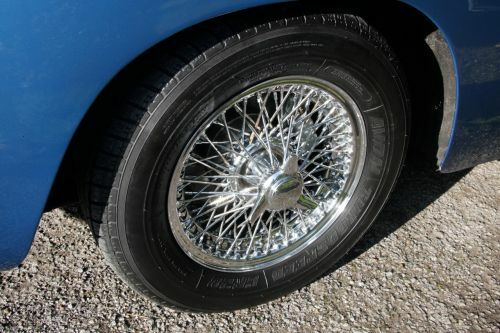 Purchased by the current long term AMOC Aston enthusiast in April 2006 from Mr Brunyate via the Runnymede Motor Co, the current odometer reading of 68,700 miles is supported by several years of old MoTs on file, together with a service book from just 12,500 miles in May 1973. Maintained by Davron near Salisbury for the current and previous owner, a £13,000 engine rebuild was completed in June 2008, and a further £18,300 of invoices on file include an unleaded cylinder head, engine bay restoration, paint and bodywork, a steering rack overhaul, front suspension and brake overhaul, and fitted electronic ignition. 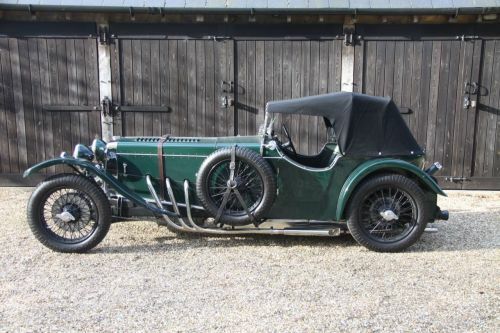 Latterly fitted with ZF manual 5-speed gearbox.